Home Sport Who will claim the Wookey? Who will claim the Wookey? 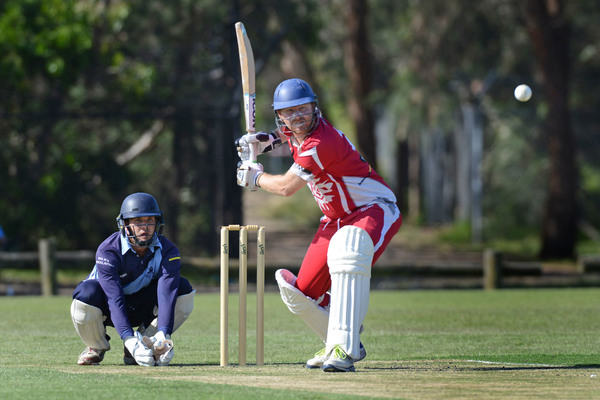 Ahead of the 2018/19 Alan Wookey Medal on Wednesday night, which is awarded to the Turf 1 player who receives the most votes by the umpires throughout the home-and-away season, DDCA reporter Nick Creely has tipped Springvale South and association legend Steven Spoljaric to take out his sixth medal. Just narrowly pipping Hallam Kalora Park all-rounder Jordan Hammond and St Mary’s star Ruwantha Kellepotha, ‘Spolly’ has been in simply sublime touch all season, and despite taking a backwards seat at stages with his bowling, the 41-year-old cracked 728 runs at 60.66 in the regular season, including three centuries and five half-centuries. While not as prolific with the ball, Spoljaric still managed to take seven wickets and provide an important role all season for the Bloods. If Spoljaric is to be crowned the Wookey Medalist once again, it would mean he has won six of the last nine awards in what has been a career like no other. Spoljaric also won the coveted Ryder Medal in 2007/08 in the Victorian Premier Cricket competition for Hawthorn-Monash University. Rounding out the top five is Buckley Ridges superstar Daniel ‘DJ’ Watson, who enjoyed another fine season with both bat and ball, and Berwick’s retiring star Nathan Pilon, who was outstanding with the gloves and the bat all season to help the Bears make finals. The Wookey Medal prediction is based on a 3,2,1 voting procedure, which looks at a variety of factors in each game to determine who have been the most influential players.